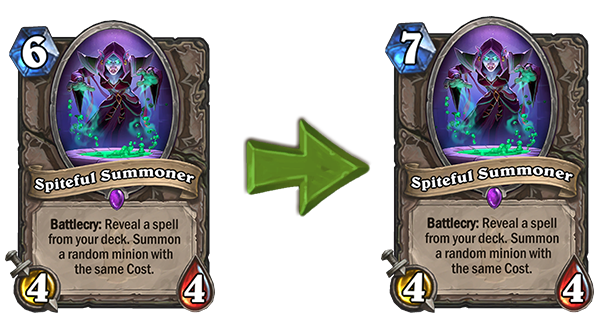 The great thing about online CCG’s or TCG’s (like Hearthstone) is that balance changes can be made, instead of new cards being printed to counter those already in play. 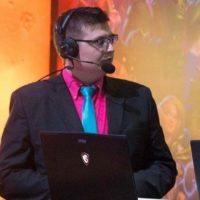 Blizzard do wonders in this department as they listen to the community and look at stats which they have access to in order to make beneficial changes to the game. 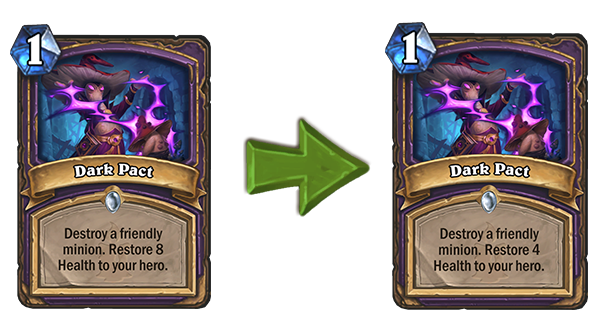 A few weeks ago they announced balance changes, and these have finally been revealed to the public. 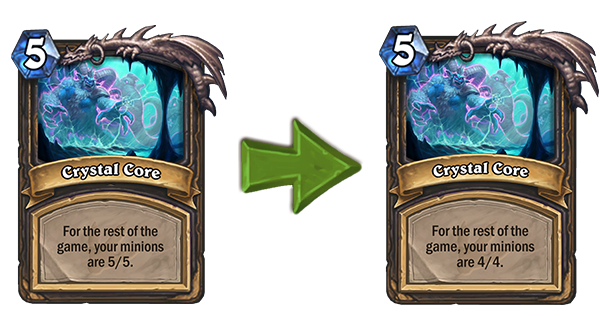 The cards affected are Naga Sea Witch, Spiteful Summoner, Dark Pact, Possessed Lackey, Call to Arms, and Crystal Core (the card received from completing the rogue quest: The Caverns Below). 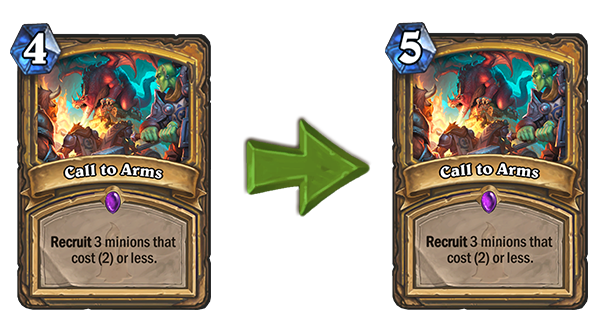 One thing which the development team at Blizzard try to focus on is the consistency of card mechanics, which is addressed with this card change. Using a few reductions cards such as Pint Sized Summoner and far more notably, Emperor Thaurissan, you could cheat out giants such as Mountain Giant and eventually Sea Giants for two or less mana. This meant that the classes doing these combos could summon boards which most, if not all classes, could not reasonably deal with. 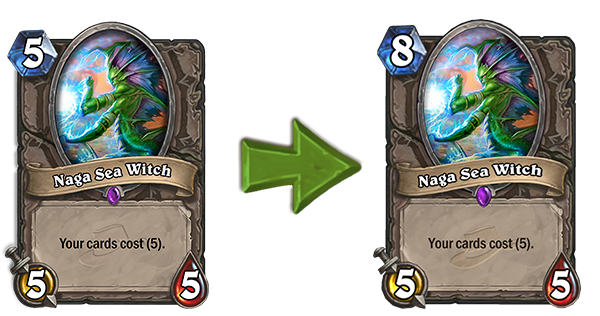 This is a change which affects Wild, but I am still happy to see such it. Good guy Blizzard looking after those playing in this format! Oh the bane of players playing against Priest and Druid’s life. I’m incredibly happy this is seeing a nerf. It was never fun having your opponent coin out Spiteful Summer as druid on turn five, and then play their second Spiteful Summer the following turn. It would be even worse if Druids had a great start with the Wild Growth, and often could run away with the game from that point onwards having two Spiteful Summoners and two 10 mana cards (Tyrantus and Tyrantus being the worst to deal with). The nerf hits the curve of these decks slightly, which will give some classes more time to develop a board should this happen. Dark Pact costing one mana allowed you to make massive swing turns as a warlock, whether playing control warlock or cube warlock. This used alongside Spiritsinger Umbra, Carnivorous Cube, or even Possessed Lackey allowed warlocks to heal themselves for an amount which seemed unreasonable for the mana cost. The reward, of course, is either the great wall of Voidlords with Spiritsinger Umbra, or even larger swing turns with the help of the Cube. This also meant that the control warlocks could use their hero power without being too punished or even playing Kobold LIbrarian or Hellfire feel less consequential. For such, these changes are very welcomed by the community. Possessed Lackey is increased to six mana instead of the original cost of five mana. This will allow other classes some time to obtain ways of dealing with the board states which Warlocks could surmount alongside Dark Pact or other combos. Currently, there are three powerful paladin decks in the meta, being Odd Cost, Even Cost, and Murloc Paladin. The change of Call to Arms from four to five mana not only weakens Even Cost paladin, it slows down paladin from curving out so early and applying so much aggression – which most classes could not deal with outside multiple early board clears. This may impact Odd Cost Paladin because if this is played, there will be no two mana cards in the deck, so summoning three one mana cards does not seem too valuable at the cost of five mana. This will probably still be seen in Murloc Paladin, but it may drop out. Time will tell to see how this change impacts Paladin. The flipside to this though is that Quest Rogue feels like a buff against Priest as their minions will be at the magical number of attack: four. These minions will now be out of range of Shadow Word: Death as well as Shadowreaper Anduin. From reading the community responses to these changes, it seems that most Hearthstone players are happy with a lot of them. One question still remains, will Bloodreaver Gul’dan ever take a hit from the nerf hammer? Are you happy with these changes? Let us know on Twitter or in the comments below! Business consultant by day, esports enthusiast by night. You already know penguins are prolific in Antarctica and holiday in Madagascar, but you'll only spot PenguinZA at local esports events. His fantastic shirt and tie combinations, along with his very unique laugh, round out his trademark style. He also talks about Hearthstone and CS:GO a lot.